We present ourselves AGATEEXPORT as the leading quarries owner and Manufacturer, Exporters & Wholesaler of Agate Stone & Semi Precious Stones Products since year 2000. We have our own Quarries & Processing factories to produce first grade of material. 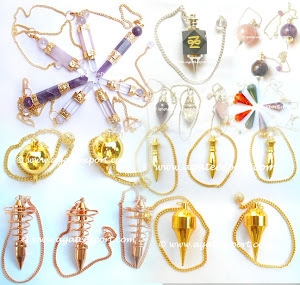 Healing Sticks, Healing Wand, Beaded Necklace, Agate Necklace, Tumble Stone Necklace, Beaded Pendulum, Metal Pendulum, Tumbled Stones, Stone Bowls, Gem Trees, Pyramids, Agate Bowls, Ball, Agate Pencil, Gemstone Facetted Pencils, Star, Jumbo, Massage Stick, Obelisks, Spheres & Eggs, Worry Stone, Agate Arrowheads, Rune set, Mercaba stars, Markaba Star, Carved Stone, Hearts, Cross, Drop, Facetted Drop, Gemstone Arrowheads, Gemstone Donuts, Tumbled Chips Un-Drilled, Shiva Lingam, Natural tumbled stones, Dyed tumble stones, Tumble Stone Nugget, Rough stone, Fossil Stones, Agate Tumbled tiles, Agate Chips ,Agate Bagger Necklaces, Chips Necklaces, Agate Bracelet, Crystal beads, Cabochons, Druze pendants, Carved pendants, Agate door handles, Carved agate bowls, Metal Keychain, Velvet Pouch, Stone Power Bracelet, Onyx Plate, Stone Belt, Agate Clock, Chakra Stones, Etc. AGATE EXPORT as a professionally managed company setting high standards in producing & exporting quality goods at Competitive price. 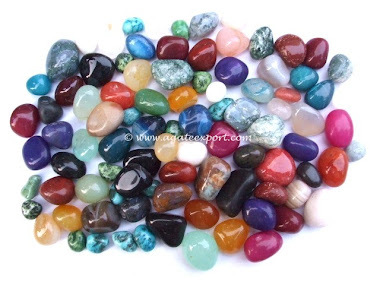 We use 92.5% Silver and best Quality of Semi Precious Gemstones. We are manufacturers & wholesale of sterling silver Pendants, Rings, Earrings, Bracelets, Silver / Bali, Necklaces, and other Handmade Sterling Silver Jewellery. Our Company Manufacturing Sterling Sliver Jewellery crafted with Good Color Natural Gem Stones. Fancy Agate, White Agate, Black Agate, Moss Agate, Green Fancy Agate, Black Agate, Banded Agate, Carnelian , Crystal Quartz, Rose Quartz, Amethyst, Blood Stone, Sard Onyx, Black Onyx, Blue Onyx, Pink Onyx, Red Onyx, Chalcedony Onyx, Red Jasper, Unakite, Green Aventurine, Tree agate , Yellow Agate, Brazilian Crystal, Camel Agate, Gray Agate, Sodalite, All Fluorite, Lapis Lazuli , Sunstone ,Snack Jasper ,Leopard Skin, Jasper Dalmation, Rainbow, Moonstone, Golden Quartz, Tiger eye, Marconi Obsidian, Snowflake Obsidian, Rutile Quartz, Blue Lace Agate, Labrodrite, Garnet, Howlite, Lodolite, Ajorite, Hematite, Ammonite, Iolite, Lemon Quartz, Turquoise, Amazonite, Malachite, Citrine, Rhodochrosite, Rhodonite, Opal, Dantric Opal, Pink Opal, Picture Jasper, Pranite, Ruby Zoisite, etc. Today AGATE EXPORT are prominent name for the supply of Gemstone products in all over the world. Our Quality Standard & Competitive prices are better than other Exporters due to own Quarries & Processing Plants. 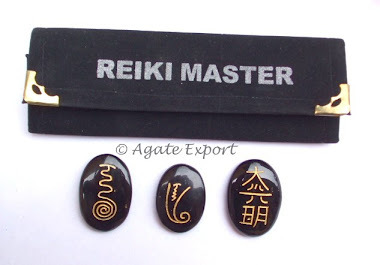 Right now we are exporting Gemstone Items to the countries in Europe, Americas and other Asian countries. ODM/OEM is available in our factory, and we also provide an option for our customers to produce their own designs, with their own logo. We can manufacture anything in your imagination. We also assure you to provide 100% privacy of your designs. We have developed our reputation rapidly as one of the leading Gemstones manufacturer and exporters. When you deal with us, you directly, deal with the manufacturer which saves your time as well as money. If you are in India, Please contact AGATE EXPORT directly. If you expect to be a regular wholesale customer and would like to apply for a credit account. Please contact us for any inquiry regarding distributorship or retail of any of our product listed on www.agateexport.com or for purchase of any of our product in bulk quantity. Global Enterprise, Natural Agate are provide handsome returns on regular purchase to their partners, distributors, wholesalers and retailers. QUALITY our all products are as per IEQS - International Export Quality Standards. Today we are playing a major role for the Total Quality Management (TQM). Our Call Center Executive and Online Live Chat Support always ready to give the quick reply for your valuable enquiry round the clock.